Some of the vital trends that could be ringing in the future, thanks to rapid advancements in technology, are as follows. These key tech trends are all set to govern the ways of life in the future, giving us insights into how life could be in 2050. 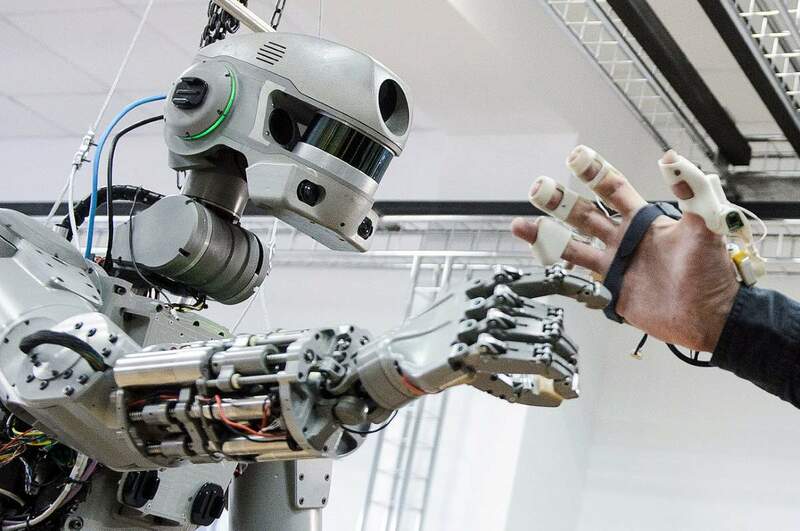 Cyborgs, service robots, industrial robots, academic voice-controlled robots for essay typer, and companionship robots are just some of the variants that we could be seeing in the future. With teaching assistants in schools and digital assistants in offices already acting as a major part of our lives, the future looks quite promising, thanks to the robots. Sure, the idea has its fair share of sinister vibes, thanks to The Terminator and other sci-fi movies that taught us robots are not really the kind to be messed with. However, if we keep a check on how far we are advancing with tech robots and the unique abilities and programs that we are assigning to them, we might be able to keep it under control. As long as we do not ring in our doomsday by creating an all-too intelligent robot, our lives are going to be a whole lot easier with their help. Drones and Hyperloop are just a few aspects of the tech advancements in current times. GPS-enabled cars and voice-controlled search have revolutionised the way we used to commute. Apps for finding trains, buses, and scheduling trips have become a part of our lives. However, the future looks even more convenient for humans with driver-less cars to be launched by 2025. AI-powered cars that take you to your destination at a single command can totally bring about a whole new picture when it comes to commuting. Limited energy resources on the planet are a grave concern for all environmental organisations and state heads alike. With the population of the planet growing by leaps and bounds, accommodating and sustaining so many lives with limited resources already pose a huge challenge for all. Switching to renewable sources of energy seems to be the smartest move in times like this, and the future holds the promise of sustainable development, thanks to tech advancements in creating and storing energy. The pioneer in this front is Breakthrough Energy Ventures. The scientists onboard are looking for smart solutions to the energy crisis the world is facing at the moment. If sci-fi movies and books are anything to go by, the future is exciting and intimidating at the same time. Here are 10 ways that tech advancements could totally transform our lives by 2050, letting us have the sci-fi way of life, much similar to the Jettisons. Probably, the most exciting part about the future is in travelling at a super-fast speed between locations all around the world. The Hyperloop (super-speedy propulsion system) has had several test runs, and Russia could be leading the way when it comes to transporting people between cities at a breakneck pace. Scientists are well on their way to making the system fit for passenger travel between cities, and if Hyperloop comes into existence, we could be travelling from Moscow to Paris within a matter of minutes. Virtual and augmented reality is all set to become a huge part of the modern classrooms come 2050. It is 2018, and we have already got robots for teaching assistants and virtual reality headgear for learning tools. The IoT ensures that textbooks and other learning resources are in sync with the digital learning tools of the modern day. Pupils can thus learn from an integrated module of education, homework help using traditional textbooks and their gadgets such as Smartphone or tablets. Currently used as a supplement to traditional textbooks, augmented reality and virtual textbooks could well be the mainstream of education by 2050. As we move towards a more populated planet, lack of space is one of the biggest problems that we are about to face. With a teeming population of over 7 billion (9 billion in 2050, as per predictions), making space for sustaining everyone is going to be one of the biggest problems in the future. With limited resources and space, we will be looking towards technological innovations for survival. That’s where the idea of sustainable cities inside tall buildings comes into the picture. The buildings will function as entire cities with various administrative departments in separate floors as well as residential, educational and entertainment zones designated for the residents (or citizens) of the future by 2050. Limited resources also present the problem of building sustainable homes that can withstand the climate change upheavals the world is about to face. Building robust structures that can withstand earthquakes and storms might pose a challenge, and that is where 3D printing technology can prove to be useful. The future will comprise large-scale constructions taken over by the 3D printing technology, giving it a more cost-effective and sustainable alternative. By 2050, we could see entire malls, multiplexes or even residential complexes built using 3D printing technology that makes wholesome use of the resources and saves a lot of energy, time, effort and cost. Advancements in prosthetics and apparels point towards a fascinating future indeed. Lifting heavy objects or wearing heavy-yet-lightweight armour for combat are some of the areas where prosthetics and apparel tech have already sown its seeds. As we progress towards 2050, these innovations could well be making their way to mainstream industries, making it possible for us to buy a prosthetic arm online. Using that arm, we can not only lift heavy objects, but also perform our daily chores with ease. In fact, technological advancements in clothing might come with self-defense nanochips by 2050. Scientists are looking for newer ways of repurposing clothing in the future. Commanding Alexa to order your favourite smoothie or asking Siri to schedule a meeting has become a part of our everyday lives. However, 2050 looks to be more interesting when it comes to having the office and home settings controlled entirely by AI. Digital assistants that are adept at rescheduling meetings, predicting outcomes of business initiatives and notify us when it is time to shop for groceries can well be a part of our daily lives at home and offices by 2050. With carbon fuel depleting at a rapid rate, switching to more sustainable forms of energy remains our only option. By 2050, we could shift to renewable energy resources such as wind, biogas, the sun, water, and other recyclable materials. Fossil fuel will gradually be making way for renewable energy for home and industries alike. Nuclear fission and fusion could also come into play when it comes to creating alternative sources of energy, come 2050. Solar power could be the dominant form of energy resource in the future, replacing fossil fuels and other sources of non-renewable energy. With carbon fuel depleting at a rapid rate, switching to more sustainable forms of energy remains our only option. Robots for household chores, robots for manual labour, robots for construction, drones for traffic control, and robots for companionship – that’s how the future will look like in 2050. Bots will practically be in every sphere of our lives, making it way easier and efficient for us to go about our daily activities. Robotics is on the rise, and it is just 2018. With tech advancements moving at a rapid pace, 2050 could see waiters and bartenders replaced with their bot counterparts at restaurants and bars. Service and companionship robots will be the rage in the future, with the wealthy going for customised robots for multipurpose activities. While it is hard to imagine that we might have to let go of our oh-so-precious Smartphone someday, the future promises to be even more exciting with cool VR and AR replacements for the same. With high-tech projections and screens appearing from nanochip-controlled devices, we could well be inside a sci-fi in 2050. Smartphone is most likely to give way to nanochip-enabled jewellery, watches, glasses or other forms of accessories in the future, with advanced functions and features that make the world our oyster. Finally, the most exciting prospect about technological advancements in the future is undoubtedly space tourism. With the privatisation of space exploration on the cards, thanks to companies like SpaceX and Blue Origin, space tourism might be a reality in 2050. Although only the uber-rich could primarily get access to it in the initial days, we might be looking at the beginning of what could be colonisation of other planets. Far into the future, maybe space tourism will be paving the way for resettlements or establishments of colonies for humans on other planets. Whether it is travelling at erstwhile unknown speed or taking a tour of the space and other planets, the future looks exciting for humankind in 2050. However, we can only benefit from the myriad perks that technology offers when we know where to draw the line. As technological advancement gradually takes over almost every aspect of our lives, the onus is on us to ensure that we are not entirely dependent on it for our sustenance. We have had our fair share of sci-fi movies and literature to learn from, and we would not want to make the same mistakes that people in the books and movies did. While progressing towards a digital future at a rapid pace, we must pause at times and reflect on the uses of technology and how we can benefit from it, rather than letting it take over our entire lives. That remains a mystery unsolved, and only time has the answer to it. Until then, we can only predict and envision our futures. Adam Paul is an active blogger who offers career-counselling services in the USA & is part of the dynamic team of dissertation editors at MyAssignmenthelp. He, along with other experts, offers top-notch dissertation help and assignment assistance for students struggling with their academic tasks across all levels of study. Previous Post10 Iconic Bridges Around the World You Must CrossNext PostWhat Time Are We Living In? Geologists Fight It Out!